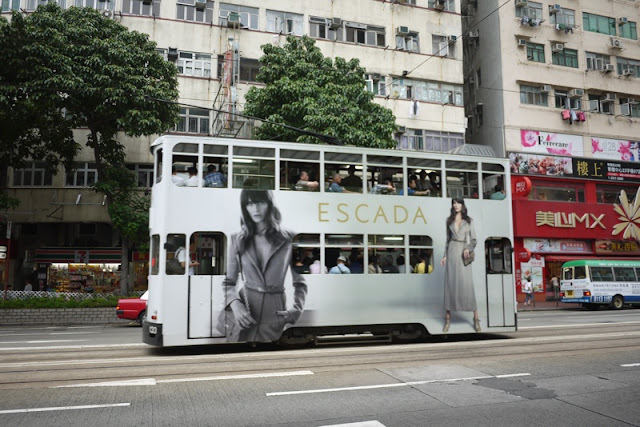 In an upcoming post, I'll share some thoughts on the impact advertisements can have on designing effective user experiences for online services or even software. 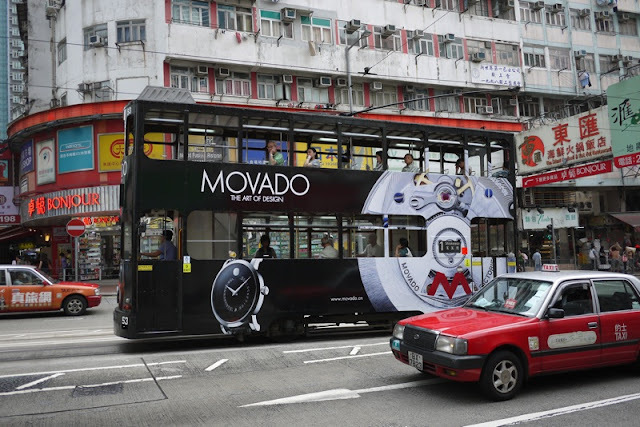 One point I'll make is that it is important to understand people's typical "advertisement environment" not only on their various electronic devices but in their broader world as well. 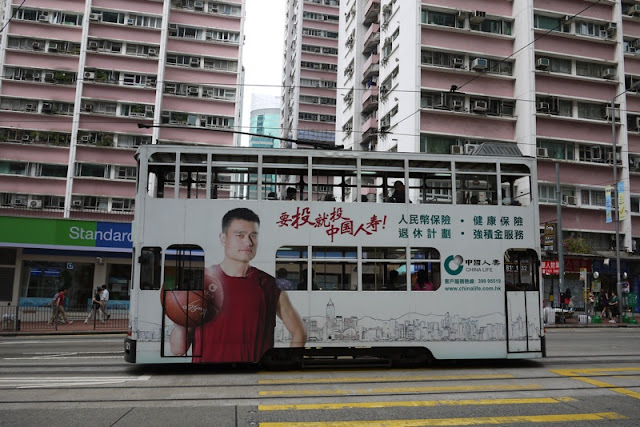 It's one of the reasons why I sometimes post about topics that touch on marketing in everyday situations in China, whether it's Coca-Cola police tents in Kunming or BlackBerry promotions with Obama in Chengdu. 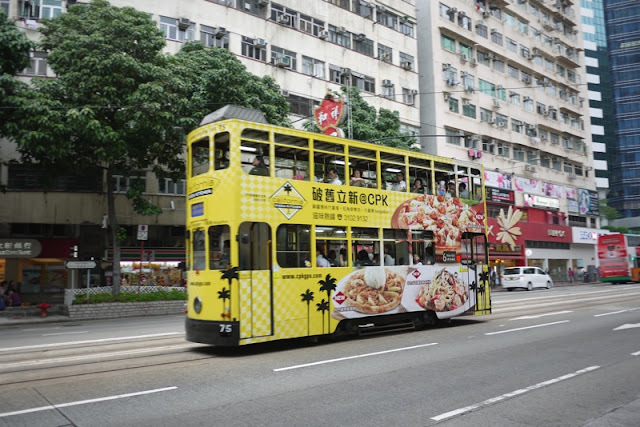 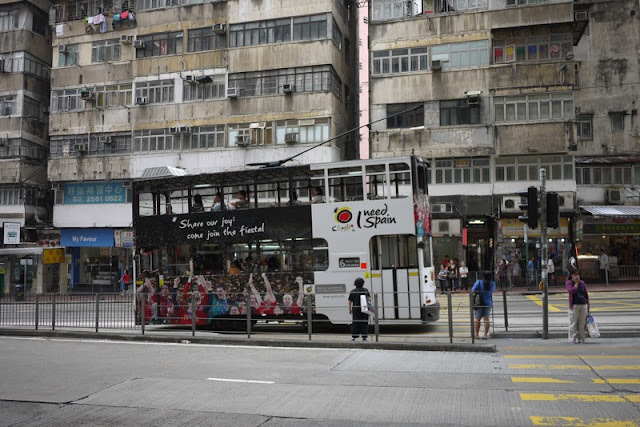 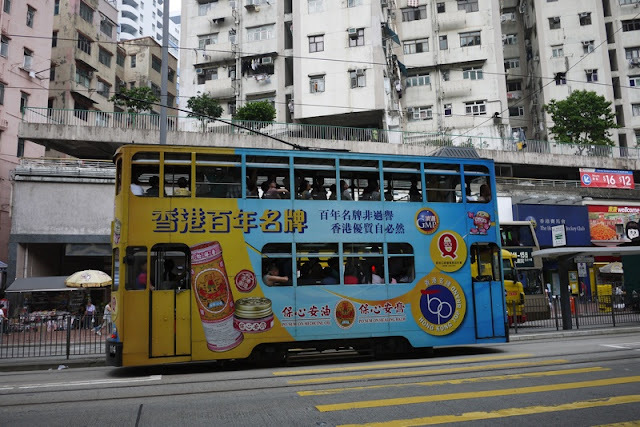 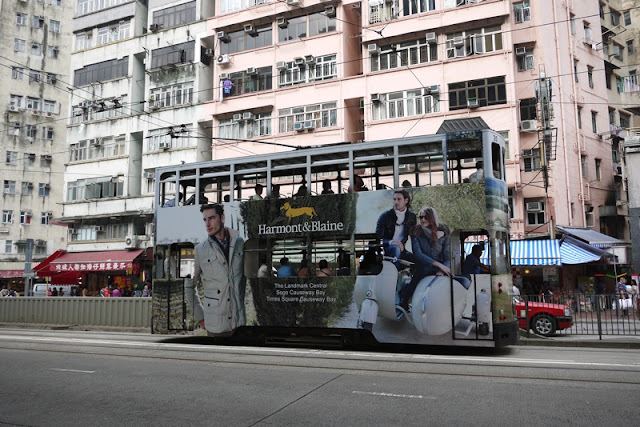 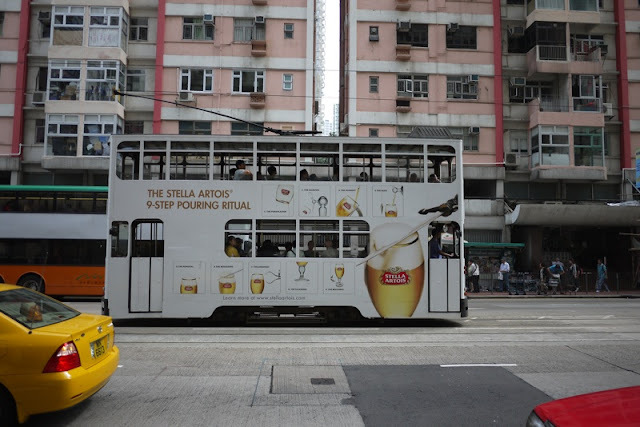 Hong Kong is certainly a place where advertising can be found in a variety of locations. 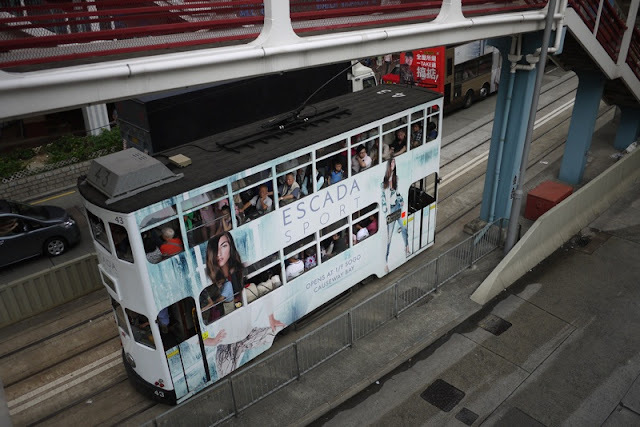 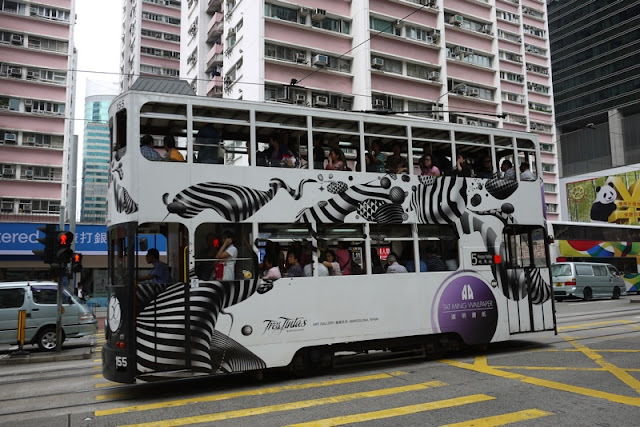 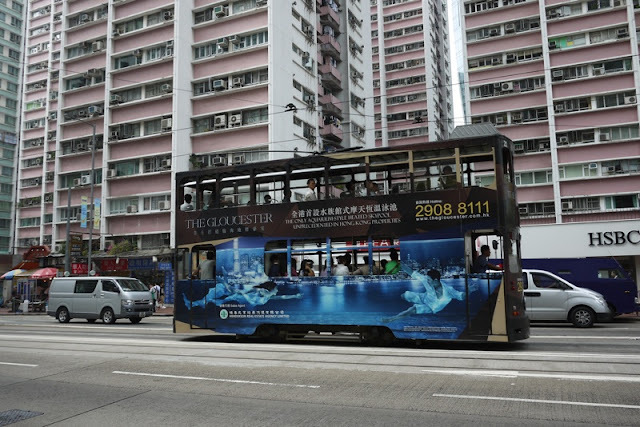 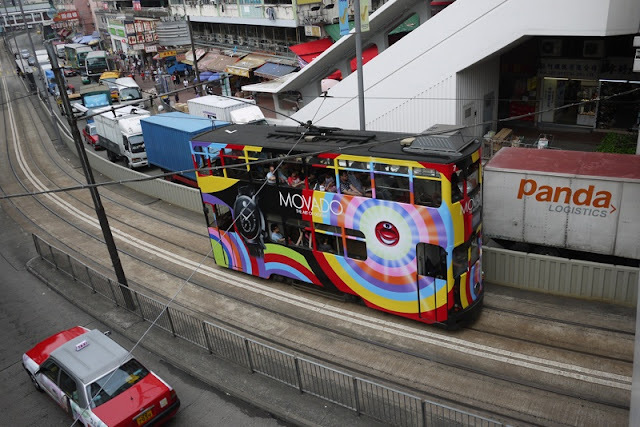 One form that has caught my eye is easily seen on the double-decker trams that operate on Hong Kong Island. 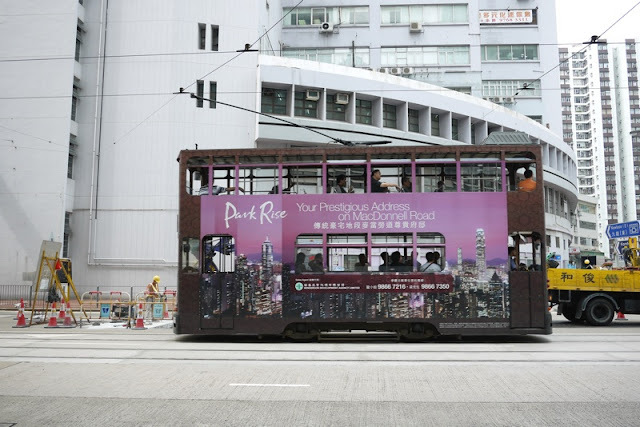 I was intrigued by the various advertisement designs since trams offer a unique space for the advertising and are mobile. 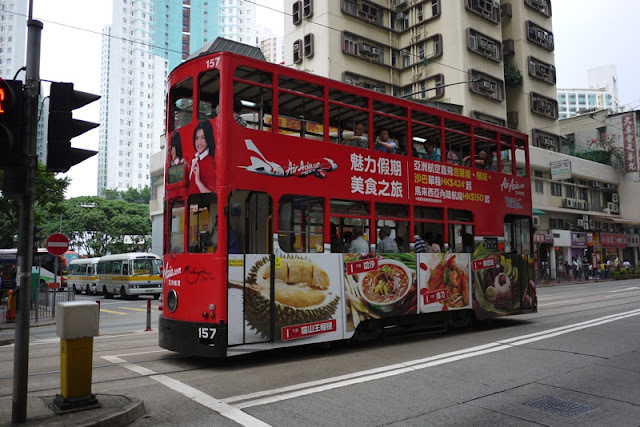 Some may argue that an advertisement on a tram or bus that passes by people isn't fundamentally different from an advertisement on a billboard that is itself passed by. 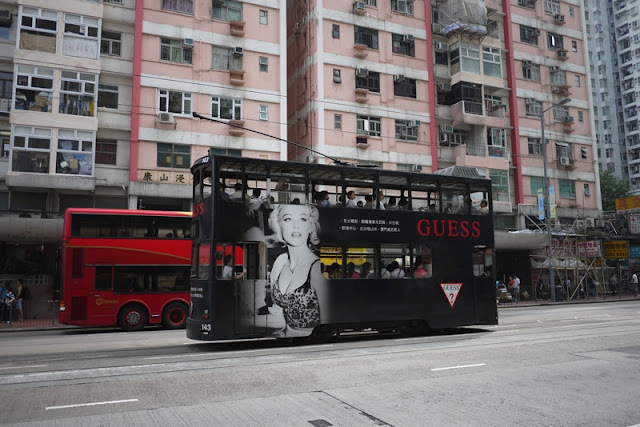 While Albert Einstein may agree, the fact that potential viewers are often engaged differently in the two situations may mean that advertisement designers should not approach them identically. 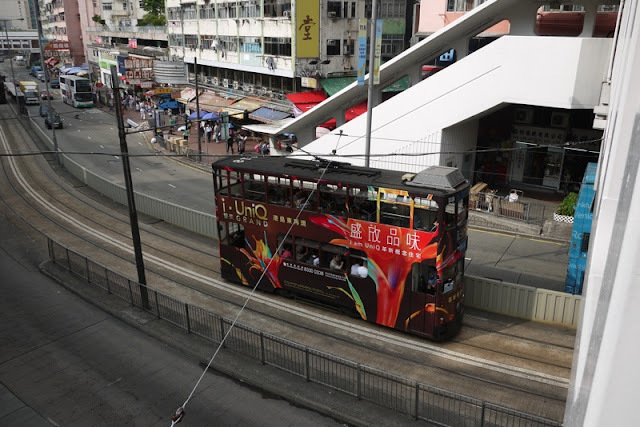 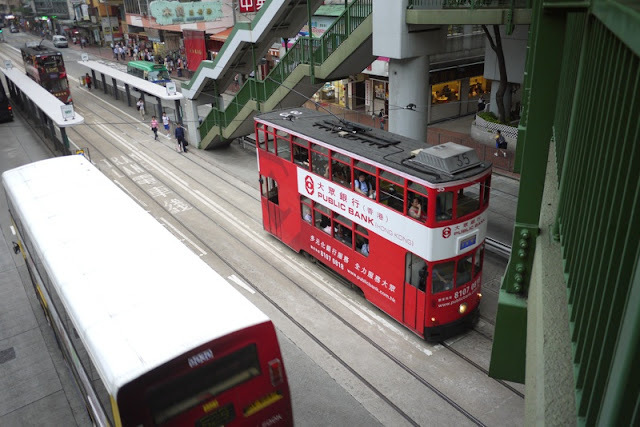 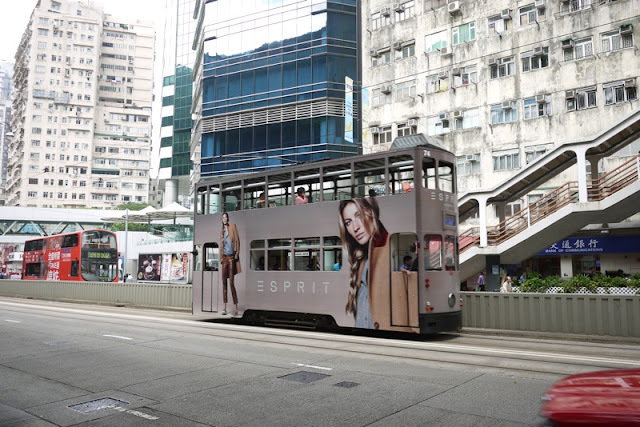 On that note, I'll share a selection of photos of some of the trams I saw during a span of a few days in Hong Kong's Eastern District. 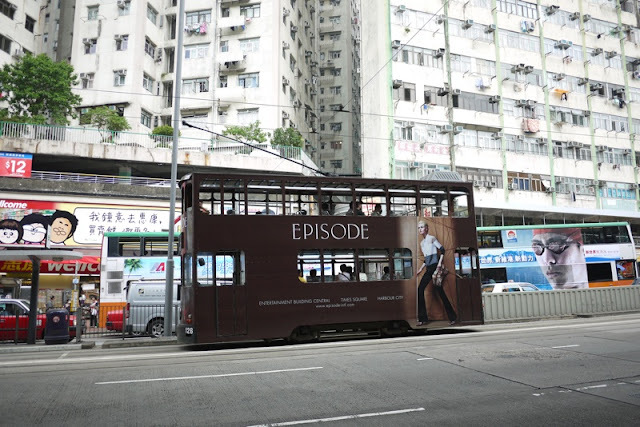 They provide a small window into how some have attempted to capture the attention of and influence people in Hong Kong. 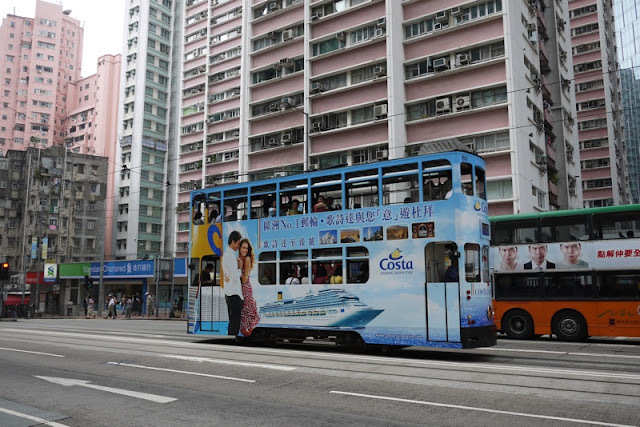 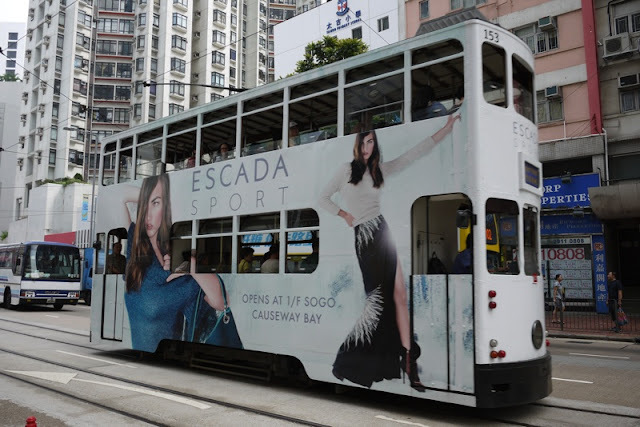 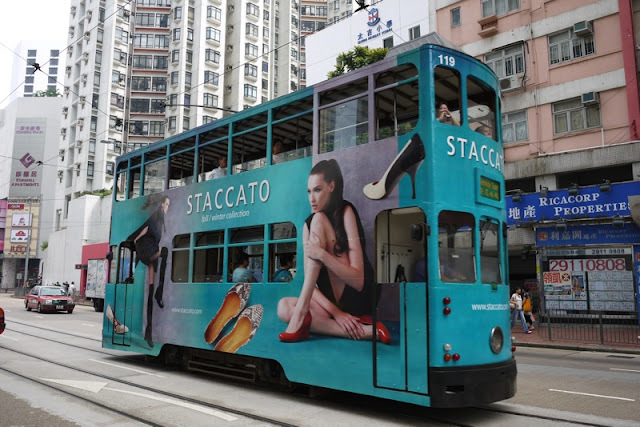 UPDATE: More trams in the more recent post "Inspiration on Tracks: More Tram Ads in Hong Kong"
Just about cricked my neck looking at these truly arresting advertising images. 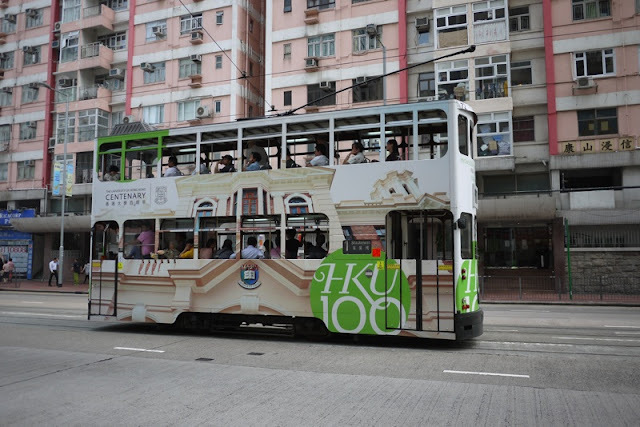 KT, I hope your neck is fine. 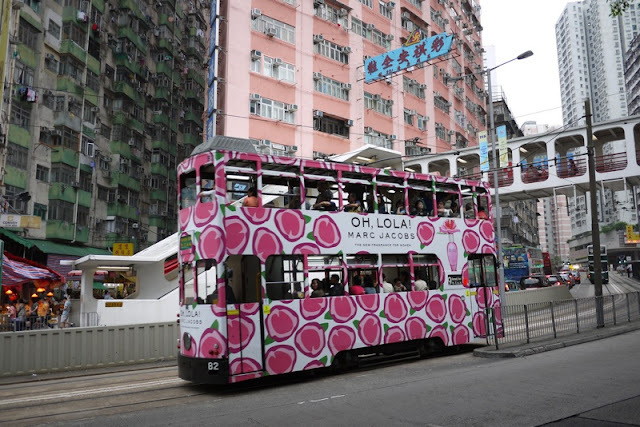 Yes, I found several of the design rather eye-catching myself.